MONTREAL — Canada is running low on legal pot three weeks after the government approved the use of recreational marijuana, a shortage that is sending some frustrated consumers back to the black market. At least three provinces — Ontario, Quebec and New Brunswick — are facing a dearth of legal marijuana and two of them have seen outlets selling cannabis temporarily shut down for lack of supply. “We need more weed!” said Trevor Tobin, who teamed up with his mother to open a marijuana retailer called High North in Labrador City, Newfoundland, a small mining town near the Quebec border. He said his suppliers did not grow enough plants and don’t have enough packaging equipment. “It is the law of supply and demand,” Mr. Tobin said. The shortage threatens to undermine a major aim of legalization: to tame an illegal marijuana trade estimated at about 5.3 billion Canadian dollars annually. Angry consumers across the country say they are returning to their illegal dealers. In Montreal, several pot smokers said their illegal dealers were taking advantage of the shortage by hawking home delivery services and lowering prices. Retailers, consumers and the producers themselves say they are exasperated by the shortage, which is being blamed at least partly on the unexpected explosion of demand for government-approved marijuana and the slow pace at which the federal government has licensed cannabis producers. Of the 132 producers approved by the government to supply marijuana to retailers, 78 have received sales licenses, according to Health Canada, the government department responsible for public health. “We are building a new legal industry that wasn’t there three weeks ago, and we knew there would be problems,” said Mathieu Gaudreault, a spokesman for Quebec’s cannabis agency. He said demand had outstripped supply, while licensed producers had overestimated their capacity. On Monday, New Brunswick became the latest province to confront a shortage as Cannabis NB, the provincial government agency charged with selling marijuana, temporarily closed half of its 20 stores, citing a production bottleneck. After about 20 percent of its first order was delivered, it said it was waiting for more marijuana deliveries to help plug the gap. That followed the decision by Quebec’s provincial cannabis agency to shutter its 12 cannabis outlets three days a week until the supply can be replenished. In Ontario, some frustrated pot smokers say they have returned to their illegal dealers. The Ontario Cannabis Store, the government retailer, received 150,000 orders in its first week of business and has been struggling to keep up with soaring demand. The problems have been exacerbated by a postal strike. Mr. Tobin said that after opening the store on Oct. 17, the day of legalization, his entire marijuana supply sold out in four hours. Among the items flying off the shelves were a potent sativa strain that gives people a “creative and social buzz,” and pre-rolled joints, he said. After waiting two weeks to get a new cannabis shipment, he said he had been forced to shutter the store for a week. He said he and his mother had invested about 100,000 Canadian dollars in the shop and were struggling to pay their bills. His suppliers, who are licensed by the provincial government, had told him that they had underestimated demand. The store, which has now reopened, is trying to scrape by with the sales of paraphernalia like bongs and rolling papers. But Mr. Tobin said it was not enough for the business to be profitable. His mother, Brenda Tobin, added that demand for government cannabis had surpassed expectations, in part because of the novelty but also because consumers were drawn by government marijuana being strictly regulated and free from contaminants found in some street marijuana. “People know what they are getting, and they like that,” she said. “As with any new industry where there is considerable consumer demand, we expect there may be periods where inventories of some products run low or, in some cases, run out,” he said in a statement. Given that marijuana had been illegal for so long, he added, the government didn’t have a reliable benchmark to know which products would be in high demand or to be able to estimate the demand level. Producers, for their part, say that mastering a new industry invariably means a steep learning curve. In the run-up to legalization, Aphria, a cannabis producer in Ontario, said it had been forced to dispose of 13,642 plants after a lack of qualified local labor hobbled its harvesting. Vic Neufeld, the company’s chief executive, predicted in October that there would be shortages and that the problem would improve when consumer demand was better understood. 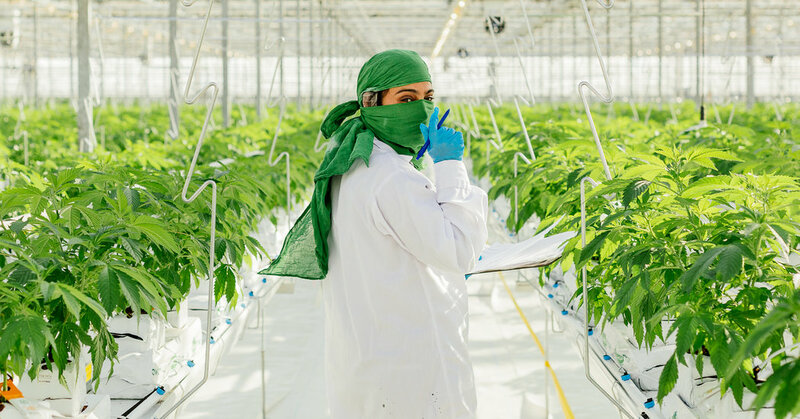 Mandesh Dosanjh, chief executive of Pure Sunfarms, a licensed cannabis producer based in British Columbia, said that shortages were not surprising given that producers were grappling with challenges such as mastering the growing of cannabis on a large scale, creating new supply chains across different provinces and allowing for rigorous and time-consuming inspections by Health Canada inspectors. Adam Greenblatt, a spokesman for Canopy Growth, one of the largest cannabis producers in the country, said the company was still building greenhouses in British Columbia, as it sought to accommodate a burgeoning market. Small things such as running out of the glue for the excise tax stamps required on every package of cannabis were causing some producers to have bottlenecks.